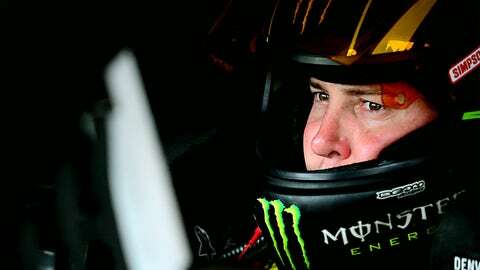 NASCAR Sprint Cup Series driver Kurt Busch said he is waiting to see what NASCAR will announce this week regarding qualifying procedures and the new format for the Chase for the Sprint Cup championship. Kurt Busch put his chances at "70 percent" at running the Indianapolis 500 this year because of recent developments that have pushed a potential program along. "It’s actually grabbed better traction the last couple of weeks, it’s gotten me more excited," Busch said Monday. "The teams that are showing interest, the sponsors and the opportunity is there. I think we’ve even rounded up some partners that will make transportation better." Busch has the blessing of Stewart-Haas Racing co-owners Gene Haas and Tony Stewart, and Haas said he’d be interested in being involved. He also must figure out his reasons for wanting to run both the Indy 500 and NASCAR’s Coca-Cola 600 on the same day. Only John Andretti, Stewart and Robby Gordon have attempted the 1,100-mile "double," and no driver has tried it since Gordon in 2004. "I need to decide if, for me, is it a business decision or is it just the sheer fun of challenging myself to do something?" Busch said. "I’m about ready to just draw a line through the business side of it and say, `Let’s just go have some fun.’ But to have Gene’s approval and Tony’s approval — I want to do this — and I need to change several things about my workout regimen to get ready for May and start now." The race has started at noon ET since 2011, and IMS officials said a year ago they’d consider adjusting again when Roger Penske offered Stewart a seat in the 500. Stewart declined the ride. Busch said he has had discussions with Michael Andretti and one other team he did not name — he said the owner is involved in various forms of motorsports, and often hires drivers to run only the Indianapolis 500 — but said he’s partial to Andretti Autosport because he began this venture with the organization last year. Busch completed all three phrases of rookie orientation last May at Indianapolis. He also doesn’t believe there are any obstacles with Andretti’s move to Honda in IndyCar. Busch drives a Chevrolet for SHR in NASCAR. "We’ve got one life here and you’ve got to chase your dreams," Stewart said. "You can’t sit here and worry about things that could happen. I’m excited that he has those aspirations, and a new challenge that he hasn’t had before."